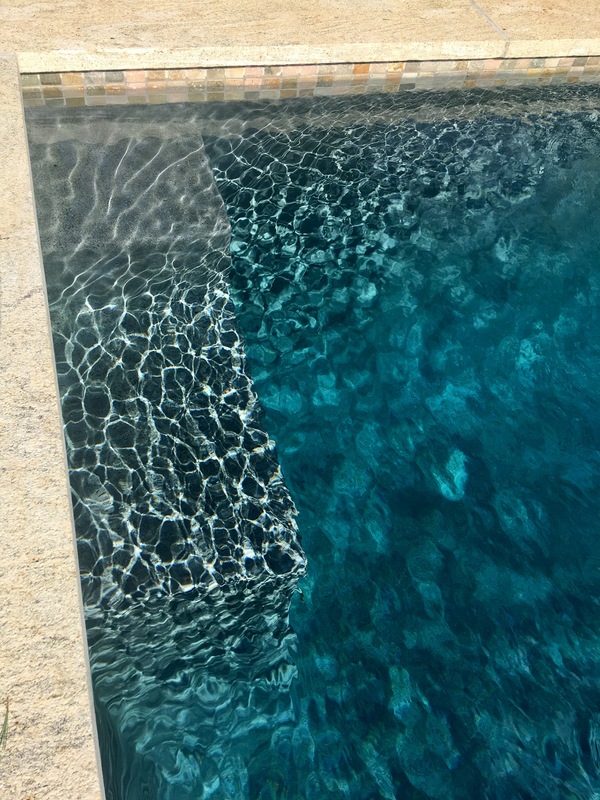 Modern and simple design, enhancing the natural surrounding landscape and adding a tranquil pool to the property. 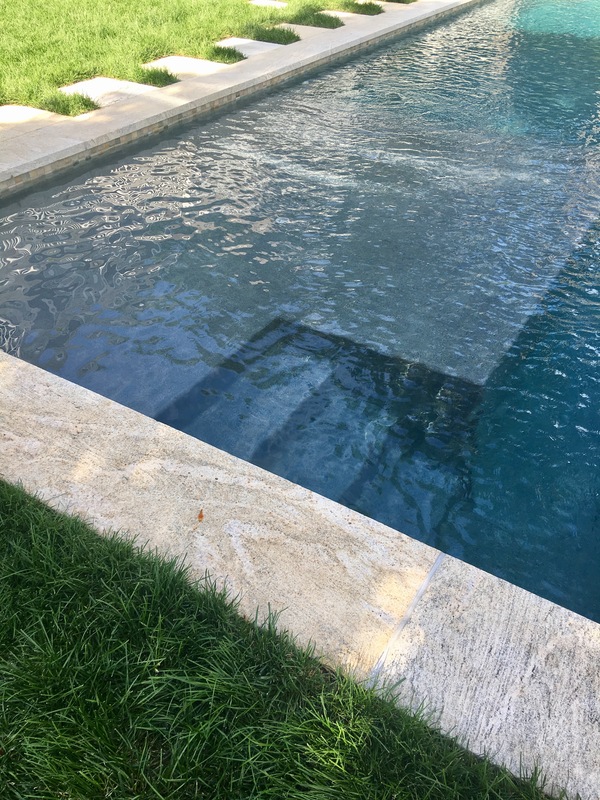 With no surrounding hardscape, the pool acts as though it is a natural fixture to the property. 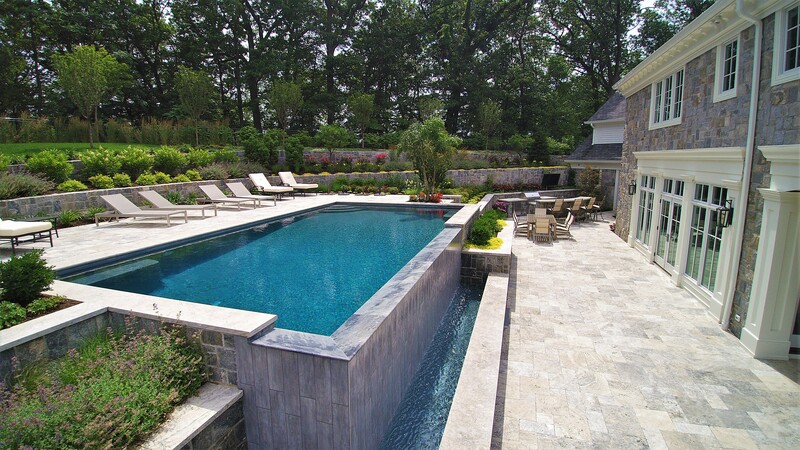 Glass tiles and a natural stone walkway add a touch of elegance. The perfect relaxing escape all summer long. 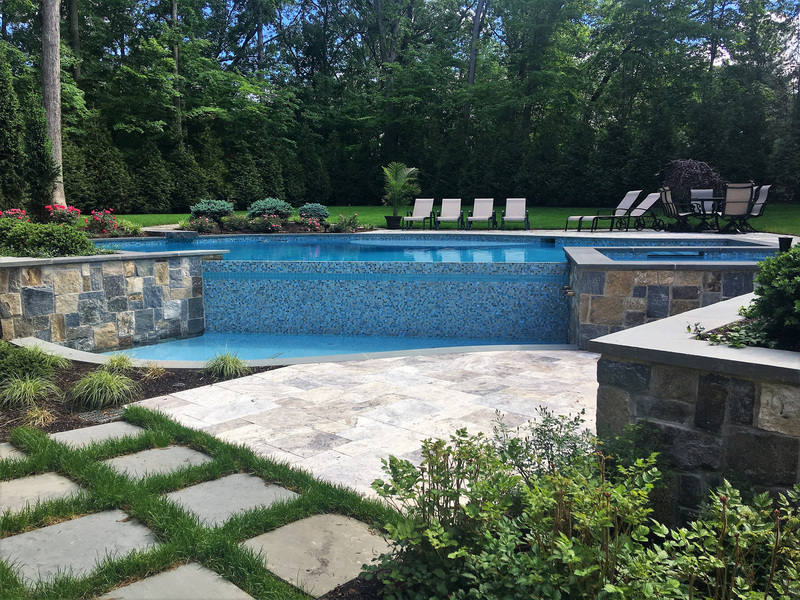 With a glass tile wall as the focal point, a spillway, fountain features, sundeck and spa, this project is eye-catching at every angle. 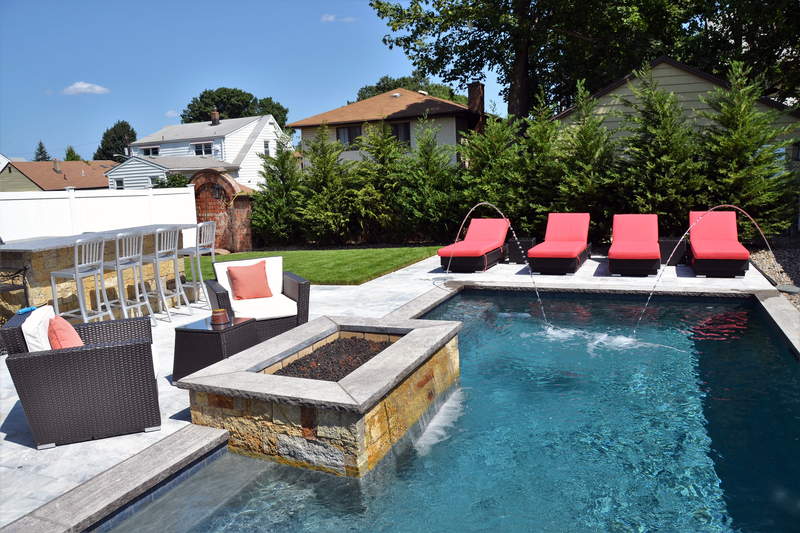 A perfect backyard oasis to relax and enjoy all summer long.